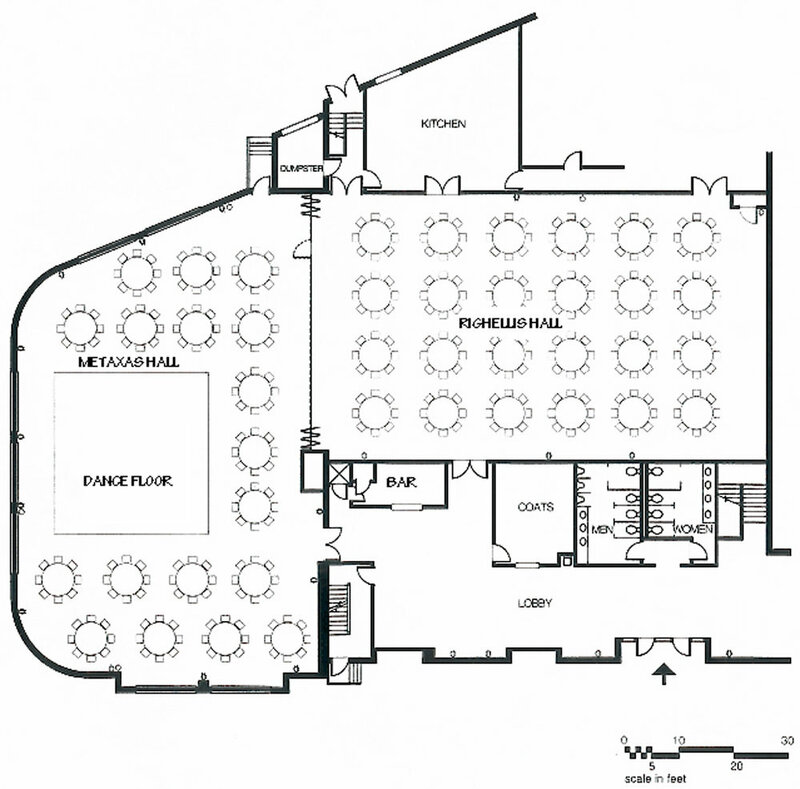 Use these helpful galleries to see how you can plan for your next event at our Hellenic Cultural Center. Click through the gallery below of past events at Reghellis and Metaxas Halls set up both for formal receptions and a presentation and explore the space. 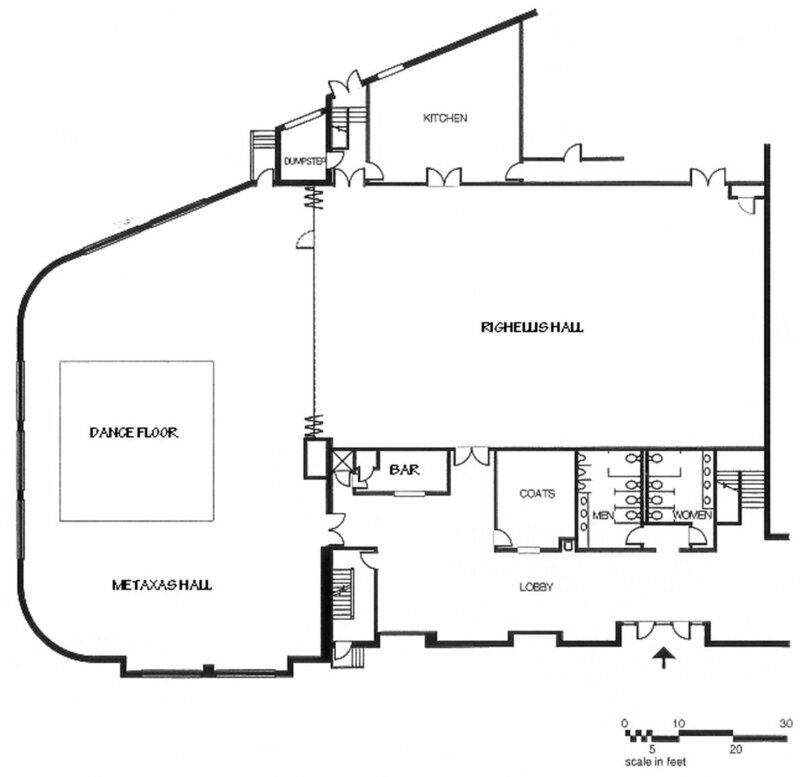 See floor plans below for the layout of the Metaxas and Righellis Halls.